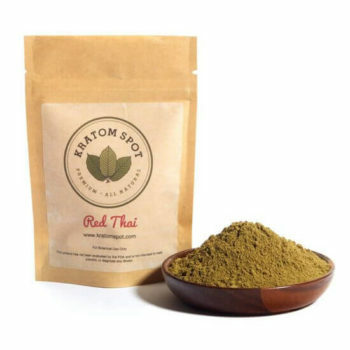 Red Thai Kratom is a consistent favorite with both old and new customers. Now, our premade Kratom capsules allow you to enjoy this timeless strain on-the-go or wherever you may be. At Kratom Spot, we understand that excellent service compliments a great product. That’s why we’re proud to offer our Red Thai Kratom capsules in various sizes to meet the unique needs of our customers, including packages of 20, 50, 75, 100, and 250 XL capsules. To ensure you get your order quickly, we offer same-day shipping on all orders placed before 3 PM EST, Monday through Friday. When you shop online at Kratom Spot, your purchase is protected by our 30-day money-back guarantee – so shop in confidence! Additionally, our friendly customer support team is always standing by to assist you if you have any questions or concerns. Order your Red Thai Kratom capsules with us today and enjoy free priority shipping when you spend $100 or more!